What’s a real estate team? We are often asked the difference between working with a real estate team vs. an individual agent, so we thought we would share why we chose the team model. The Gray Group real estate team includes two listing agents, four buyer’s agents, and administrative professionals. 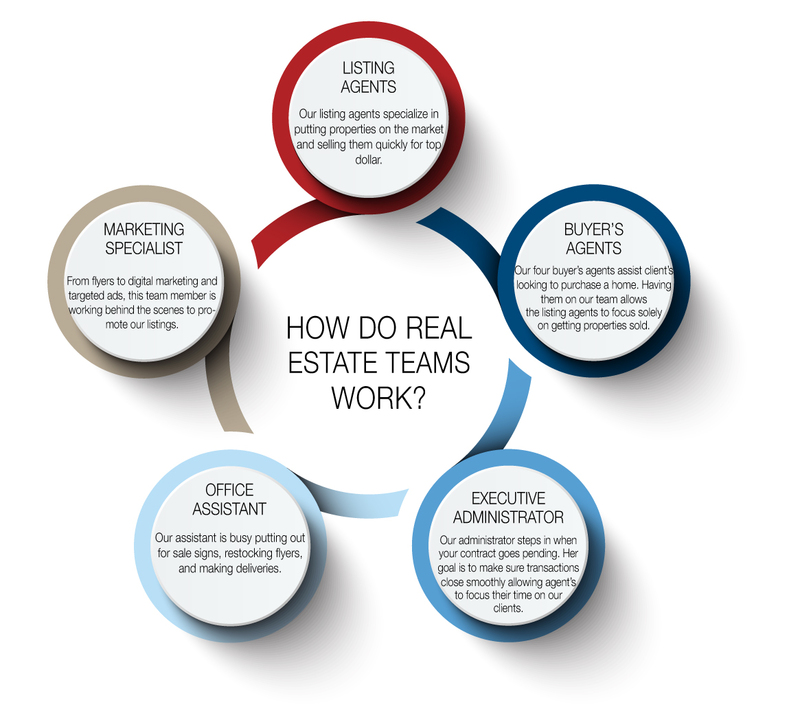 We feel there are many benefits of working with a real estate team, but here are our top five. When you buy or sell a home with our team, you benefit from having six agents representing your interests for the price of one. Our agents are consistently lead generating to find qualified buyers for your home. They are also constantly communicating about upcoming listings to find a home that meets your criteria. We combine our spheres of influence to spread the word about your home. A lot of communication goes on behind the scenes each day to get a listing from pending to closed. Having an administrative team assisting with document management allows for faster, smoother closings. We help each other and brainstorm, and as a result our clients gain collective knowledge and experience. In a pinch, any one of the team members can cover for another. You should never feel neglected. Every member of our team was brought on board because they bring with them a unique talent and knowledge base that makes our entire team stronger. Our administrator excels at staying on top of every transactional process and document needed, allowing our agents to spend their time working with the client. Our marketer continually researches new and better ways to market our listings online and through traditional mediums so she can better assist our agents. Together, we know we accomplish more than we could on our own. A common misconception about working with a real estate team is that you will be communicating with many different agents. That would get confusing for everyone, and is not how our team works. Each agent on the team has their own clients and works directly with them from the first appointment to closing and beyond. There is no passing of the baton at any point, just a team behind them helping the home sell quickly and the transaction run smoothly. With that said, if you want to see a property or need help when your agent is not available, we can put you in touch with another agent so you do not have to wait. It’s completely up to you! No agent is in town and available 24/7, but with a team we can usually offer immediate assistance. We love working together to serve our clients. If you are interested in buying or selling a Tuscaloosa home, please give us a call at 205-799-9610.